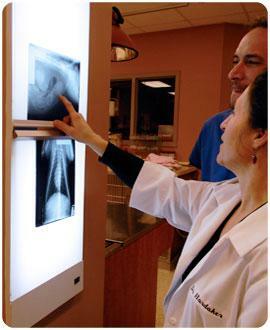 Central Veterinary Hospital is equipped with onsite x-ray and ultrasound technology to aid in the diagnosis of your pet’s medical condition. Often it only takes minutes to view and interpret your pets results. "Thank you all so much for the love, compassion and professional care you showed to Michael McDougal and to us last week. You all went above and beyond the call of duty and we will never forget it."